Are you taking more than 2 medications? Do you take different medications for different conditions? Do you have side effects from your prescription or non-prescription drugs? Do you wonder how well your medications are working? At Wellness Garage, we approach medication management with the latest science and our deep belief, supported by evidence-based medicine, that lifestyle behaviors can in many cases reduce or completely eliminate the need for prescription drugs. We believe that medications should only be taken when the benefit clearly outweighs the risk of adverse effect. When you take a medication, it interacts with enzymes in your body that determine how quickly it is metabolized or even if it is going to be effective. Pharmacogenetics allow us to understand your unique DNA profile for the genes that code for the most important enzymes. Medications can also interact with each other and in turn your other health conditions may also affect a medication's efficacy. Wellness Garage is pleased to offer a comprehensive medication review with a state of the art genetic analysis. Our pharmacist, Amy Ku will conduct detailed analysis of your medications using the TreatGx platform from Genxys, supported by LifeLabs. You will learn about the outcomes of the analysis, and you will receive a personalized set of recommendations based on your genetics, your up to date health information, and the latest clinical evidence. Following your assessment, we then work with your family physician or our own medical staff to make appropriate adjustments to increase the safety of your prescriptions, and review potential opportunities to decrease or eliminate the need for some medications. When you sign up for the service a DNA collection kit will be sent to you. The TreatGx pharmacologic test uses DNA from a simple cheek swab, and the swab is provided to you in the collection kit. The swab is easy to use and the collection can be done at home. 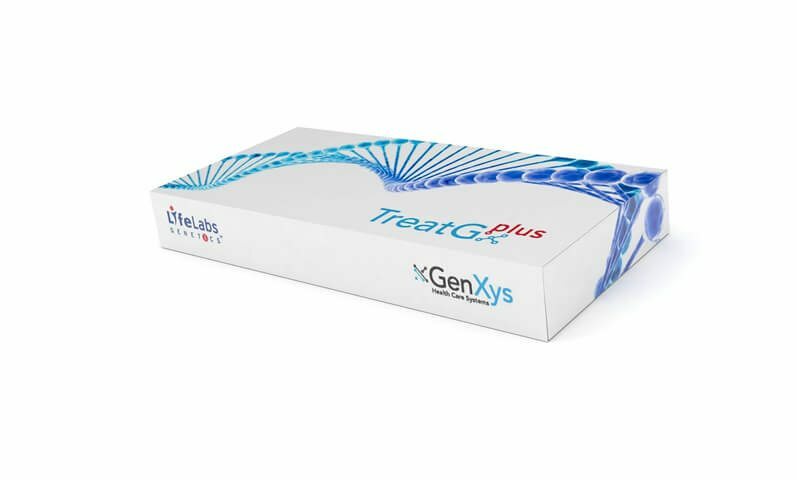 The sample is returned by you using the provided prepaid label to the laboratory for genetic analysis. Once the analysis is done at the LifeLabs facility, you will be notified and can invite your Wellness Garage team to access your results. This way you are always in control of your data and can let multiple providers access your profile, as you see fit. Once our Wellness Garage team has had the opportunity to review your results - a 60 minute pharmacist consultation will be scheduled with you. All aspects of your medical history and genetic results will be reviewed in detail and our pharmacist will clearly explain any insights, providing you with all actionable recommendations in writing. Any person taking a long term medication - if you are already on a medication - taking this test can help you understand what medications are safe and unsafe with your current medication. Any person with a condition for which they may be prescribed a medication - if you have recently been diagnosed with a health condition for which there is a high likelihood that medications may be helpful, then getting this test done ahead of time will allow your physicians to make better initial medication choices. Anyone who regularly takes prescription or non-prescription medications - especially seniors.